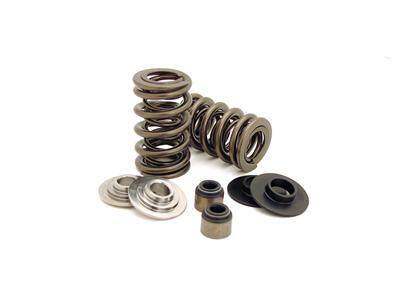 These high performance valve spring kits from COMP Cams have everything you need for a complete valve spring assembly. 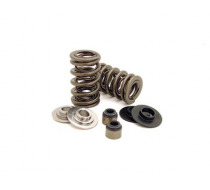 Springs, seats, retainers, and seals are included, along with complete instructions for a worry-free installation. Outside Diameter of Outer Spring (in) -- 1.300 in. Seat Load -- 135lb. @ 1.770 in. Open Load -- 400lb. @ 1.120 in. Spring Rate (lbs/in) -- 408 lbs./in. Inside Diameter of Outer Spring (in) -- 0.870 in. Inside Diameter of Inner Spring (in) -- 0.655 in.